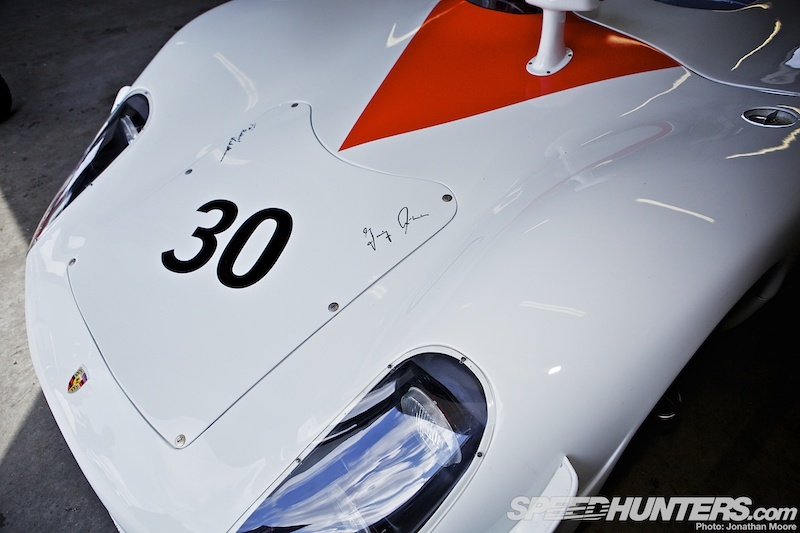 The 908 is often overshadowed by its better-known Porsche brothers, but it’s an important part of the inexorable rise of Porsche on its way to dominating sportscar racing in the 1960s. 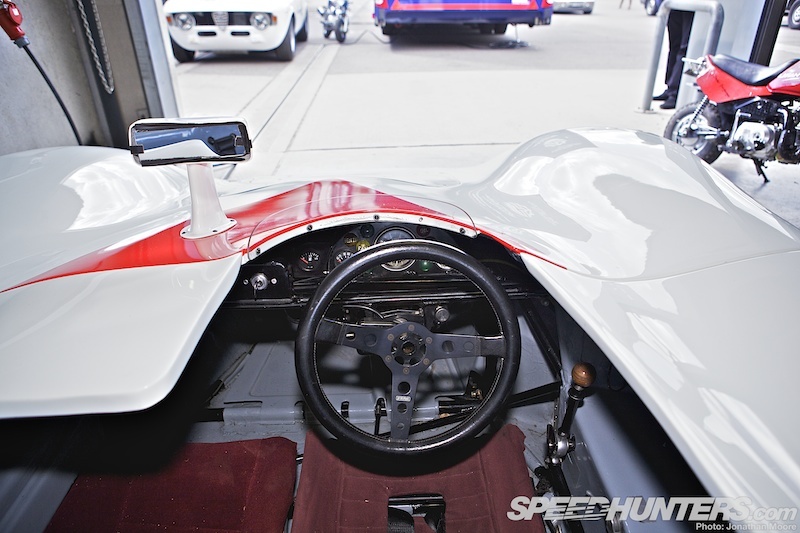 Originally envisaged as a stop-gap during the development of the 917, the 908 quickly became a successful and reliable racing car in its own right. Nimble and fast, in this compact short-tailed shape it’s easy to imagine them blasting round the Nürburgring or flashing down dusty roads on the Targa Florio in Sicily. With their largest engine of the period a 2.2-litre flat-8, 1960s engine rules had previously ruled out Porsche’s prototypes from competing at the sharp-end at Le Mans, but a change in regulations at the end of 1967 gave Porsche the possibility of producing a new engine that still had relevance to their road-cars. A 3-litre, flat-8 boxer engine was developed from the Type 901 flat-six used in the 911 to produce a quarter more power than its predecessor, and the first versions of the 908 ran in the 1968 Le Mans 24 Hours with enclosed, long-tail LH coupé bodies. 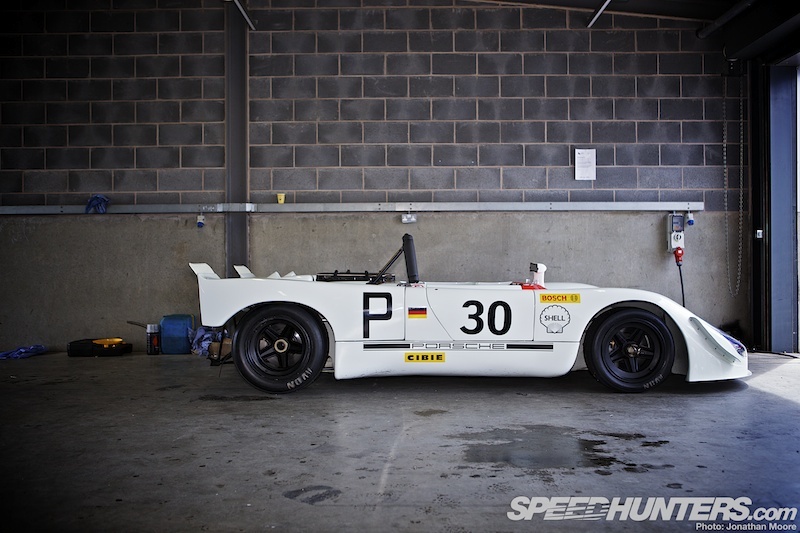 Reliability problems plagued the trio of entered cars, so over the winter Porsche worked on a second iteration, the 908/2. A short-tail, high-downforce spyder body was developed and the problematic six-speed gearbox replaced with a new five-speed. Weight was cut by 100kg to just 600kg and the space frame chassis constructed from pressurised aluminium tubes so that fractures could be quickly detected – a technology also used on the 917. The 2,990cc eight-cylinder produced 350hp and gave a top speed of around 180mph: long-tail bodywork was used to help the aerodynamic profile on faster tracks like Le Mans and Spa, but the fibreglass Kurze Flunder body provided the iconic profile of the car. The pocket-sized 908/2 went on to utterly dominate during the 1969 season. Porsche destroyed the opposition at the Nurburgring 1000km in high-downforce spec, taking the first five positions; they took first to fourth at the Targa Florio; 908/2s won in spyder and coupé variants at Brands Hatch, Monza and Spa, and finished a close second at Le Mans to Jacky Ickx’s GT40. All these wins handed Porsche the 1969 International Championship For Makes and made up for on-going teething problems with the 917. This 908/2 is shown in its 1969 works livery: each car used a unique highlight colour on the nose to help with identification of individual crews. Acting legend Steve McQueen finished second in a 908/2 at 1970 Sebring 12 Hours, and also used one as camera car during the filming of that year’s Le Mans 24 Hours for his cinematic envisioning of the race. A further revision was made in 1970 in the shape of the 908/3, and in 1971 big vertical fins were added on the rear and the car further shortened. 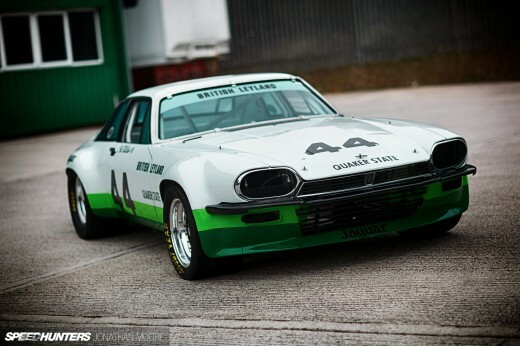 908/3s carried on competing and winning in privateer hands all through the 1970s, and even now 908 are regular competitors in historic championships. Beautiful. That centrally mounted rear view mirror looks like the source of inspiration for Lamborghini's recent Aventador J. Whose signatures are those on the front of the car? @SebastianBlix I agree!!! Keep this up SpeedHunters!!! What an awesome piece of machinery the 908 is... and such a glorious sound. Just insane. 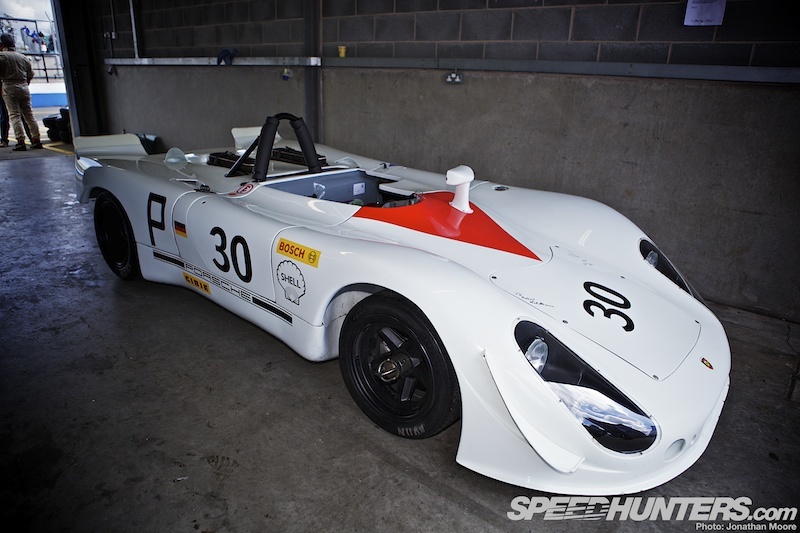 The 917 definitely stole the 908's thunder, but this beast was always a solid performer. An interesting aside to the history of Porsche 917 001 was after winning the 1973 Nurburgring event Kauhsen was visited by the West German Secret Service with a very strange request to take a mystery guest around the Nurburgring circuit in the now famous "Yellow Car". The following morning the 'Ring' was carpeted with a blanket of thick wet snow but when the mystery guest turned out to be none other than the President of the Federal Republic who was a great fan of Kauhsen and the Yellow Car, the lap of the 'Ring' had to proceed.So - in 6cms of snow, on slicks followed by a number of secret police in Mercedes saloons and the German army in trucks Kauhsen and the President of Western Germany, Gustav Heinemann, proceeded on a lap of the famous Nurburgring, at least one army truck overturned, several police cars left the track but Kauhsen and the President returned unscathed!! 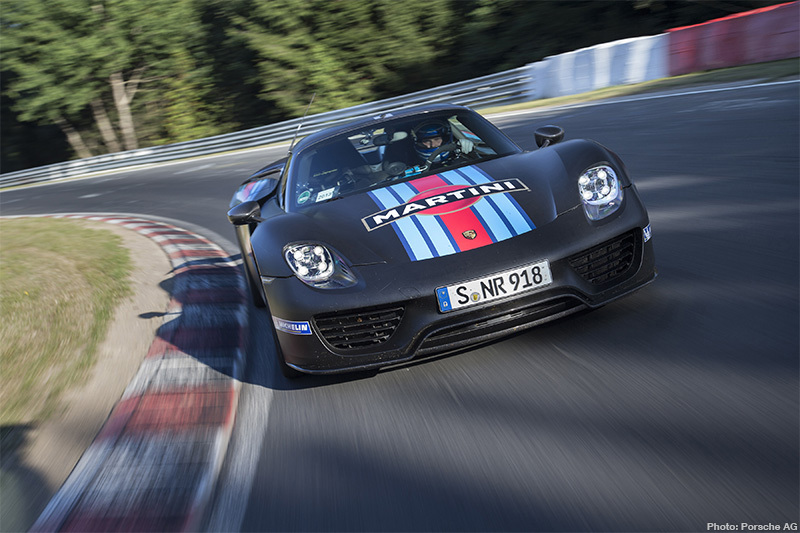 when a car is a nurburgring legend, i love it! great!